Spun silver heavyweight paperweight. Packaged in a velour draw string pouch and gift presentation box. Engravable (the Law Society does not provide engraving services). 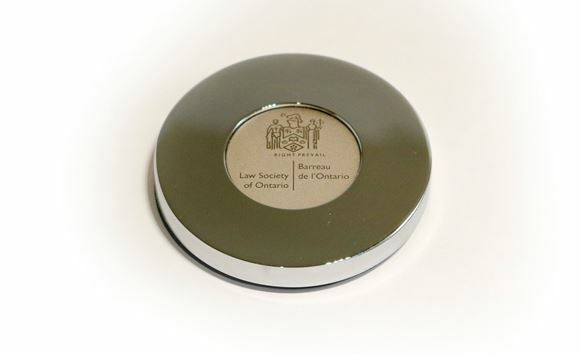 Note: All merchandise reflect the current name change to Law Society of Ontario.